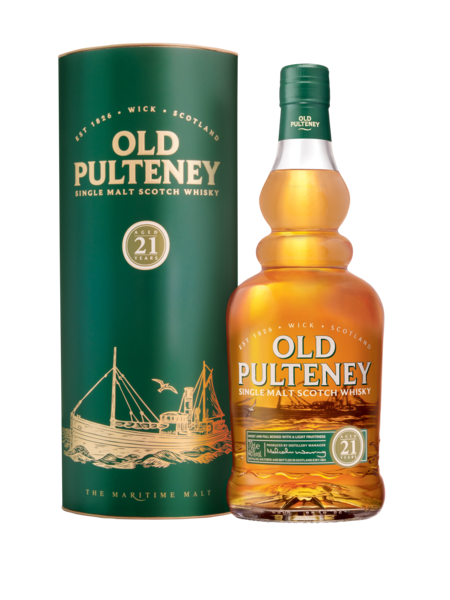 The Old Pulteney distillery, under the ownership of Inver House Distillers, is the most northerly distillery on the Scottish mainland. It was founded back in 1826 in the maritime fishing village of Wick. They have a vast range of whisky releases all packaged in a very interesting bottle reflecting the shape of their stills. This 21 year old release scooped Jim Murray's 2012 World Whisky of the Year. It was matured in a combination of ex-bourbon and ex-fino sherry casks. It's non-chill filtered and bottled at 46% ABV.